If you have ever wished you could reinvent your smile, you may be the perfect candidate for a smile makeover with Dr. David Green of Turnagain Dental. Smile makeover is the process of transforming the appearance of a smile through several cosmetic dentistry treatments. 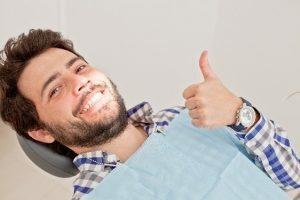 Every smile makeover is customized to the unique characteristics of the patient, as well as his or her ideal aesthetic outcomes. Your smile makeover will take into consideration the specific issues you would like to address in your teeth and smile, as well as the natural appearance of your face, lips, hair, skin tone and eyes. Dr. Green will evaluate all of these factors before recommending the appropriate combination of procedures to deliver your desired results. To take the first step toward your smile makeover, please book a consultation with Dr. Green today. Misaligned teeth – misaligned teeth can be straightened into the proper alignment with invisible orthodontics (i.e., Invisalign) or traditional orthodontics. Porcelain veneers can also be placed to hide poor alignment. Chipped or cracked teeth – smile makeover can fix small chips or cracks in the teeth (more serious damage may require a crown or similar restoration). Dental bonding or veneers material can be used to cover up chips and cracks. Spaces between the teeth – depending on the size of the space, bonding, veneers or orthodontics can close spaces between the teeth. Abnormal tooth length or shape – teeth that look irregular in shape, size or length can be reshaped using bonding material or covered up with porcelain veneers. Excessive or uneven gum tissue – the gums should frame the teeth without covering up an excessive amount of tooth structure. Gum recontouring can help eliminate excess gum tissue or fix an uneven gum line. Worn or otherwise unattractive teeth – many smile makeovers are designed to revitalize teeth that look worn or simply unattractive. Placing porcelain veneers over the affected teeth can create a conventionally attractive smile. Every smile makeover begins with a comprehensive examination. Dr. Green looks at all of the teeth and the gums to ensure they are healthy and disease-free. He also looks at how the teeth fit together to determine if there are no problems that need to be addressed before the smile makeover. Then Dr. Green must attain an understanding of the issues that need to be addressed and the goals of treatment. He will recommend two or more cosmetic dentistry treatments designed to accomplish the patient’s objectives. Sometimes Dr. Green uses computer imaging technology to give patients a “preview” of the planned results. Depending on the nature of the planned procedures, Dr. Green may be able to complete a smile makeover in a single appointment. However, in most cases, several appointments are needed. The most complex smile makeover cases are usually completed over the span of a few months but some take a year or longer. To learn more about smile makeover treatments or how you may benefit from a smile makeover, please contact our Anchorage, AK office to schedule an appointment with Dr. Green today.